Xclusive Marine offers a one stop solution for all your boating needs. 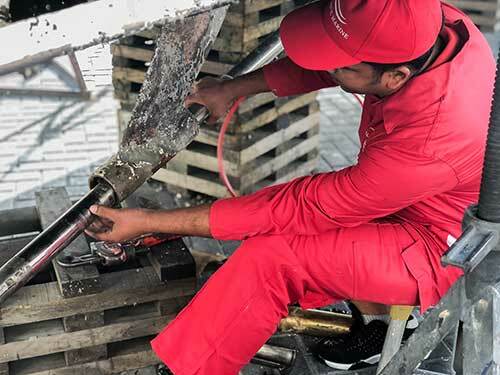 Our fully equipped squad is specialized in marine engineering, electrical works, mechanical & plumbing works, welding, A/C repairs, painting and much more. Our service is extended to all clients throughout the UAE and take up construction, repairing and refits from beginning to end. We never compromise on quality and service level that forms the backbone of our company. 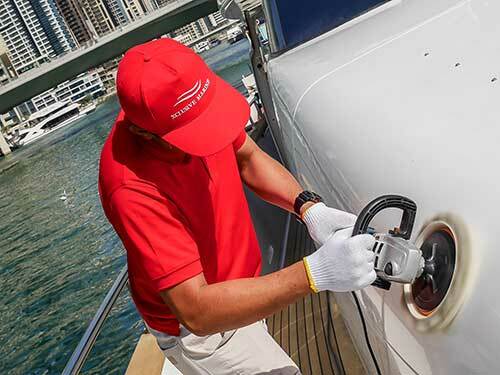 Considered as the nucleus of generating power for the yachts, it is mandatory for the mechanical hub to be in excellent working conditions. We take responsibility for your safety on board and hence offer a complete line of mechanical services which is not limited to engine repair, fuel system repair, troubleshooting, oil service, maintenance, as well as propellers and shaft alignment. 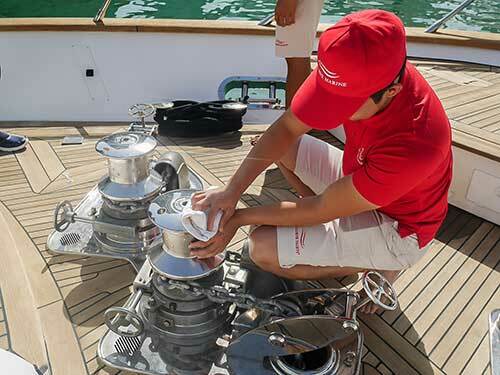 Each module of the engine room will be carefully examined with supervision to ensure a smooth, hiccup free cruise. A strong and smooth boat is any yachtsmen’s dream! We at Xclusive Marine undertake any inboard and outboard engine repairs. Our skillful craftsmen are equipped to rebuild and perform engine modifications for that additional horsepower! Any sort of antifouling whether it be micro or macro has an adverse effect on the performance and fuel efficiency of any boat. The heavier the deposit on the hull, the more difficult to manoeuvrer the yacht. Depending on the temperature, salinity, sea salts and numerous factors that govern such marine growth, our antifouling procedures use specialized antifouling paints that provide the vessel an effective and long lasting protection. 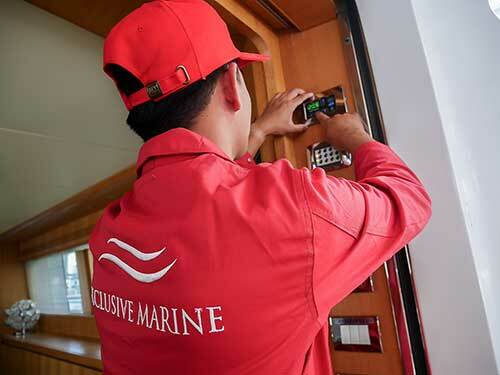 Xclusive Marine takes up all sorts of wooden interior works, panel works and interior furnishes. Having a dedicated carpentry team with qualified craftsmanship and skills, we guarantee a “glass-like” finish to our end results. Bid all scratches, cracks and annoying marks farewell with our specialized fiberglass and gelcoat process to give any surface a shiny, smooth finish. The expert team prepares, cleans, polishes and applies layers of gelcoat to protect the surface and finishes the work with a wax coating for that extra shine. We also undertake repairing, blending, color matching and polishing works. 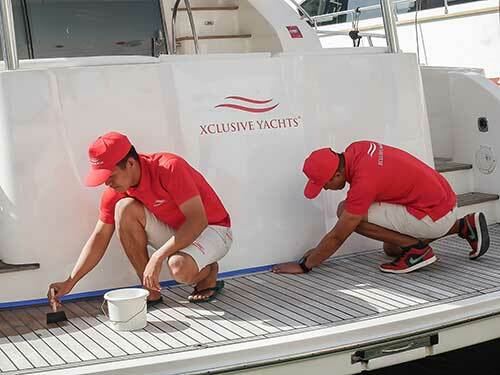 Xclusive Marine specializes in delivering the finest solutions for exterior and interior painting for fishing boats, sailing yachts, super yachts, and mega yachts! The company has decades of experience in taking up fresh projects based on client requirements as well as preserving and upgrading the protection on exceptional yachts. We hold extensive experience in refit projects, with many boats painted to date. 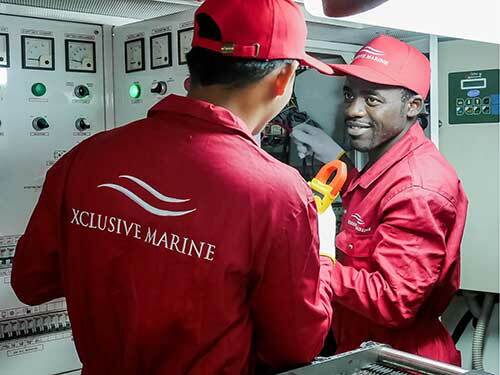 Xclusive Marine uses the most advanced technologies and top quality products to safeguard the vessel’s durability and value. Clean and fresh upholstery can make or break the look and feel of any yacht! We at Xclusive Marine offers customized solutions to cater to any requirement for all furnishing aspects of boats and yachts.